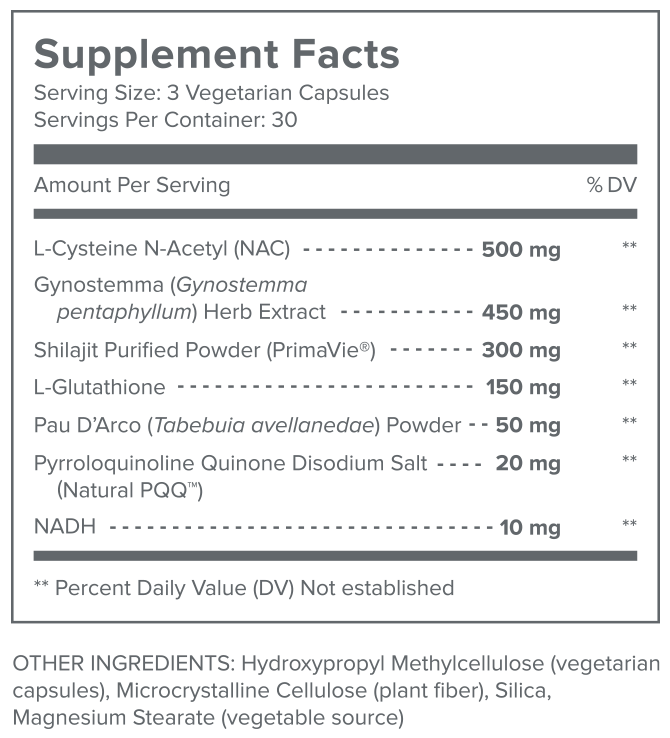 This robust formula contains a whopping 7 all-natural compounds — L-Cysteine N-Acetyl, Gynostemma, Shilajit, L-Glutathione, Tabebuia avellanedae, Pyrroloquinoline Quinone, NADH. These ingredients take your cellular health to the next level. And when that happens, you experience better health from head to toe. I can proudly say I have one of the best supplement development teams out there. And I work very closely with them to create the highest-quality health formulas possible for you. Gundry MD™ MitoX is no exception. It’s been formulated for maximum bioavailability and absorption. And no chemicals, preservatives, or other unnecessary ingredients have been added. I know you’ll love the way MitoX makes you feel — from enormous energy to worry-free digestion — and I can’t wait for you to give it a try. WHO SHOULD USE GUNDRY MD MitoX? 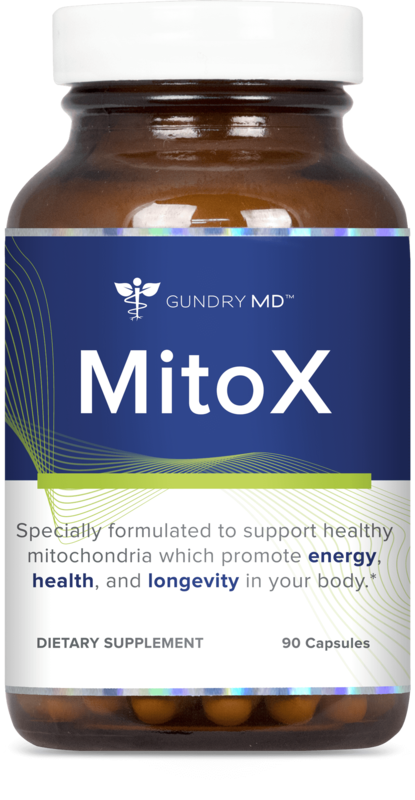 Gundry MD MitoX is ideal for anyone who wants to protect and strengthen the trillions of cells in their body. This formula is designed to reduce “mitochondria malfunction” — a main culprit of many age-related symptoms. So it’s perfect for people over 40 (that’s when the problem starts to take its toll) because it helps naturally maintain a healthy, balanced body from the inside out. WHAT’S INSIDE GUNDRY MD MitoX? HOW DO I USE GUNDRY MD MitoX? Taking Gundry MD MitoX is easy. Simply take 3 easy-to-swallow capsules each day – I suggest taking all three capsules with your biggest meal of the day. HOW SAFE IS GUNDRY MD MitoX? Gundry MD MitoX contains only natural, safe ingredients. Here at Gundry MD, we pride ourselves on the purity and potency of our formulas, so every product we make undergoes extensive testing at independent, 3rd party labs. WHAT IF GUNDRY MD MitoX DOESN’T WORK FOR ME? We understand that different bodies can react to formulas differently, so if you don’t see the results you want, we’ve got you covered. 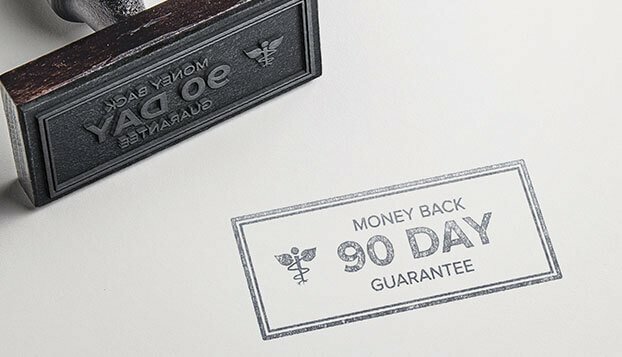 If you’re not happy with your results from Gundry MD MitoX for any reason, don’t worry – your purchase is covered by our 90-Day Money Back Guarantee. That means our customer service team will issue a refund if you’re not 100% thrilled with your product – no questions, no hassle.